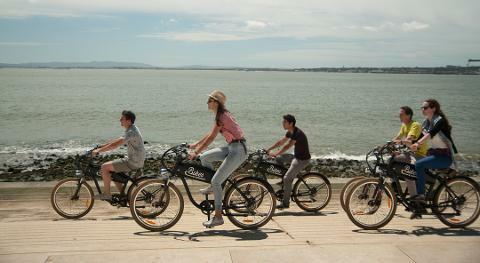 Get ready to a relaxed tour along Lisbon's riverside! Starting at the cosmopolitan city centre you’ll be able to see the buzz of this beautiful European capital and the levels of tranquility will increase as you advance towards Belém. 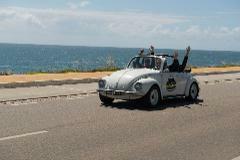 All the way to Belém is done along the riverside which means you may expect an extremely pleasant journey full of light, a beautiful landscape and a vibrant city life. 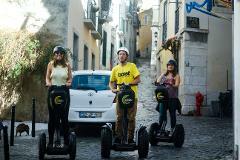 Whoever is interested in history and knows about the importance of the Portuguese Discoveries will love this neighborhood. Here everything is magnanimous, historical and sacred. It was from here that many of the great Portuguese Explorers embarked on their dangerous and ambitious voyages transforming Portugal in the first global empire. 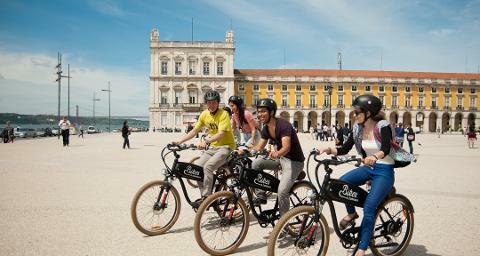 This is one of the most pleasant tours that can be taken in Lisbon, the perfect combination of tranquility, harmony and landscape contemplation mixed with the busy riverfront esplanades, long green grass fields crowded with musicians, joggers and artists enjoying Lisbon's essence! Cais das Colunas: The noble entrance of Lisbon is located at Commerce Square and is characterized by the two vertical pillars, which are leading by the marble steps down to the Tagus River. 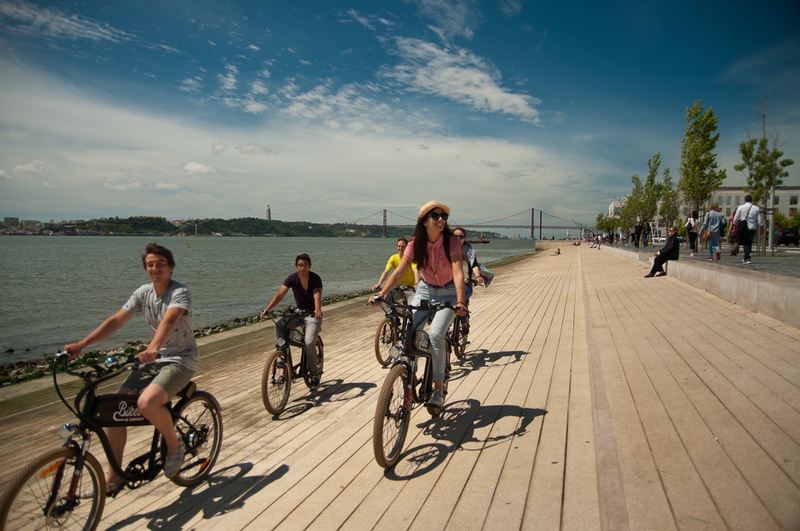 Dock area: Located below The 25th of April Bridge along the river in Alcântara, Baixa and Belém is one of the city's most popular places to relax. 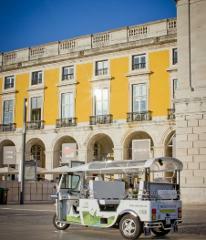 25th of April Bridge: One of Lisbon’s most notable ex-libris! This steel suspension bridge across the Tagus River is often compared with the Golden Gate Bridge in San Francisco. Jerónimos Monastery: A World Heritage monument, this is one of the most prominent examples of the Portuguese Late Gothic Manueline style of architecture in Lisbon. 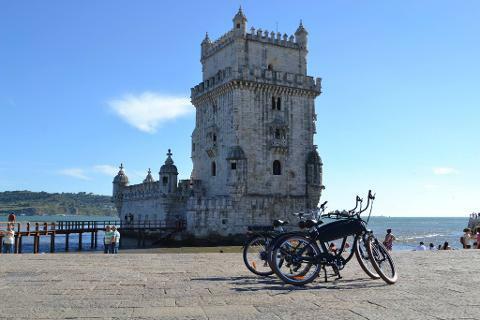 Belém Tower: Built on the northern bank of the Tagus between 1514 and 1520, the Tower of Belém is one of the architectural jewels of the reign of the King Manuel I.
Monument to the Discoveries: An impressive monument to praise the essential figures of the Discoveries. 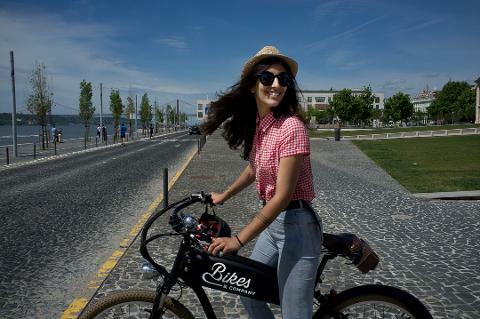 Ride along the river bank on the coolest vintage bikes in Lisbon!